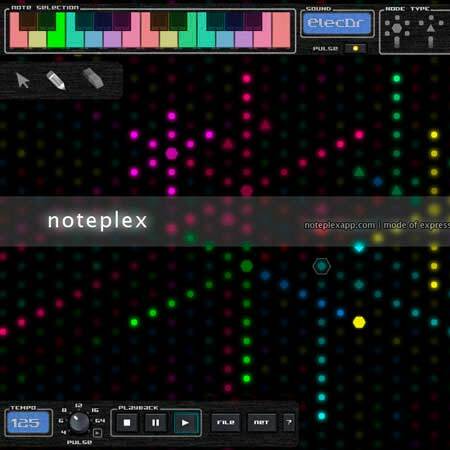 noteplex presents composers with a hexagonal board of cells on which can be placed nodes. Each node has a sound associated with it, such as “Electric Bass” or “Snare Drum”. A noteplex song begins when the first node fires a pulse. These pulses hit other nodes, which play their sounds and fire more pulses. Those new pulses hit other nodes, and so on. You’re hearing a noteplex song!